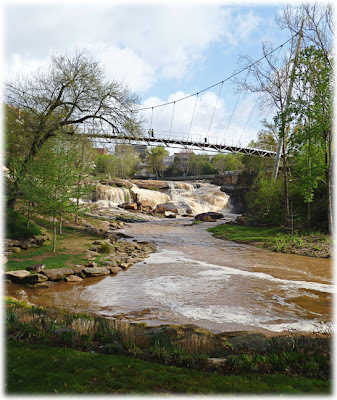 So you just get a photo - of the Reedy River downtown, taken last weekend. I mean, you get SOME words. So... it's almost too busy for words. The river was up from the rain, the sun was out, and there was just enough breeze to make the temperature really mild and blow away some of the humidity. Jason and I had breakfast at our favorite downtown breakfast place, wandered the banks of the Reedy River with a camera for a while watching the ducks, the tourists, and the water. We ended up at the Upstate History Museum to see a folk art exhibit I had read about. I suppose I'm trying to get back up to snuff as far as my understanding of what's going on in at least the local art scene. I feel like it's kind of a professional thing I should be doing now. One of Richard Burnside's white wolves. He's done several of them. He's actually one of my favorite folk artists because his stuff makes me think of aboriginal Australian art, cave paintings, the super graphic and simplified symbols with the little bits of texture glued on. I like it when there's a lot going on in a painting like this. I'm a fan of folk art - I like seeing what happens when people just create, without that constant drumbeat of art school's ideas of what is acceptable, what it "art" and what isn't. It's an oppossum mama and babies! The piece is by Minnie Adkins. Minnie's growing on me, too, although she wasn't one of my favorites before. 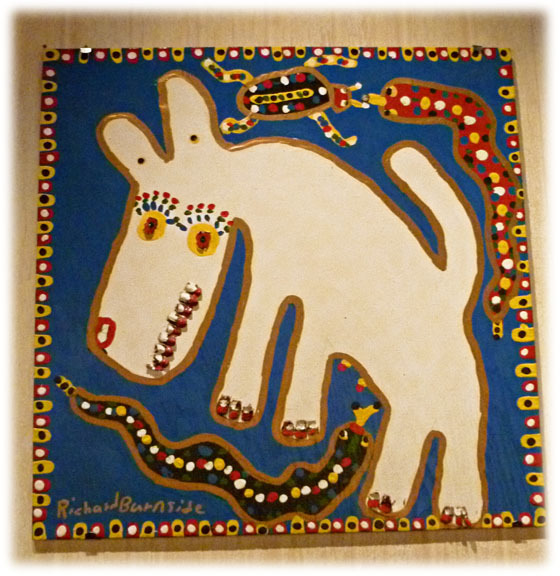 I don't know - there's such a huge amount of humor, and not taking yourself too seriously, in folk art. It's something the "highbrow" art world could stand some more of. So, yeah. The folk art show was a really good one. I'm excited to get back into really paying attention to the different exhibits going on - I can call it professionalism now, right? I was able to get quite a bit of rearranging done at work today. Tomorrow's going to be all about people bringing in entries to our upcoming juried art show. I have been informed that there will probably be no time for work on the shop, but I get to listen to NPR at work occasionally, which means I don't have to miss the Saturday shows I like. So... in short, this is all good with me. I know, I said I was just going to do a single photo. I'm really bad at doing what I say I'm going to do, okay? Sometimes you just want to ramble. One of these days I'll do another simple, photo-oriented entry. Pinky-swear, and all that jazz. I have been at this job a single day and I have already been asked by a vendor if I'd be willing to pick up a piece of their merchandise to sell in the gift shop. I am reminding myself that just because it is a book I want to read, doesn't mean that customers will pay for it. But I'm considering asking if I can just have one for myself, anyway, because a book about the Cherokee presence during the Revolutionary War seems pretty cool to me. I've been there one day and already I am being tempted by merchandise. This isn't even the merchandise already there, people. This is hypothetical merchandise I'm dreaming about. In general, it was a day full of cramming information into my skull. Some things, like figuring out how to run the (seriously old school) register and inventory system were pretty simple once they clicked. I answer the phones like a pro. Which I suppose I kind of am. I am going to be spending the first couple of months just acclimating to the concept of being in charge of this little store, trying to get the sections a little more strongly delineated and really just trying to make the place my own. Although, of course, it's all going to be baby steps. Yesterday I mostly figured out the bare bones of how this job works. There were a nice variety of customers - I signed someone up for a membership/class, which you have to do a certain way when they sign up for both at the same time. I was able to meet one of the instructors who teach the art classes that go on downstairs. They're currently doing a Youth Art show with the local schools so there were people in and out all day. Today I think they're starting the takedown on the Youth Art stuff, because this weekend people will start submitting for the juried art show. Which is definitely going to be awesome to see. Guys, I work for an art museum now. I just thought I should repeat that. Maybe be a little bit giddy about it. Let's go see what I learn about my job today. P.S. Nine days until Jason and I fly to Illinois to see my family! 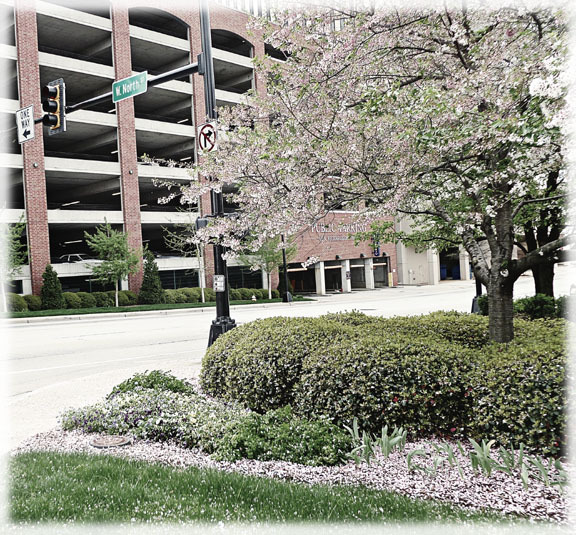 Don't be fooled - we may not have gotten any snow this winter, but we're definitely making up for it with the spring. I mean, it kind of looks like snow. Plus, everyone's going around sneezing and coughing. So... it's a little like the winter when everyone gets a cold, right? Frankly, the sheer amount of pollen in the air has been causing me to get the slightest tickle in my throat during the day. I don't even have allergies - my friends with allergies are downing medicine like candy or are perfectly miserable or, occasionally, both at the same time. The mildness of winter means that the pollen is in overdrive this spring. I washed my car on Sunday and by Tuesday it was vaguely orange from all the yellow pollen. I made the mistake of parking under a tree in our apartment complex's parking lot and came out the next day to find my car both orange from pollen and green from tree buds that had fallen on it. My car looked like nature had become angry and was trying to take it back. Don't be fooled - the South gets snow... it just falls off our trees instead of from the clouds. So... what good things have been up the past few months? Well, the usual stuff: Jason and I went out to Hagood Mill a couple of times, he went by himself a couple of times as well. We had breakfast at Coffee to a Tea, sometimes just the two of us, sometimes with our friend Liz, sometimes with our married friends Sarah and Josh Forgie. This, of course, was when I wasn't working on Saturdays. I wasn't usually scheduled, but the problem with both having trouble with thinking past the short-term AND working in a place where they often let you leave early if you agree to come in for a few hours on Saturday meant that I, in the last couple of months I was there, ended up working almost every Saturday. I worked on building something approximating a 'spring' wardrobe. I love sweaters, but South Carolina does not want you to be able to wear sweaters after mid-February for some reason. This saddens me - in Illinois one can get away with sweaters almost the whole way through April, at least a few days. I guess that will work for me no longer. On the other hand - my car is slightly orange from yellow pollen, the flowers have all burst, the magnolia trees will soon hang heavy under their blossoms. Magnolia trees are one of the greatest things about living here. You see a big old magnolia tree, like a huge one? You know that it's probably nearly as old as Greenville itself, as they grow so slowly. Today I went in for the fun part of getting a new job - drug test and signing papers. It's starting to feel like I really did get this job. I don't know what to do with my hands when I think about it - I just start wanting to kind of drum out a beat on the table with excitement. Now I'm settled in at Sarah's house, doing some laundry and listening to music, idly looking at real estate for sale in the area. I know this entry was pretty random, but it's mostly to get me into the swing of regular updates again. It could not be a prettier day. I can even handle the humidity for gorgeousness like this. Even if I still complain about it a lot. Anyone looking at this page will notice that my last update was on October 16th. 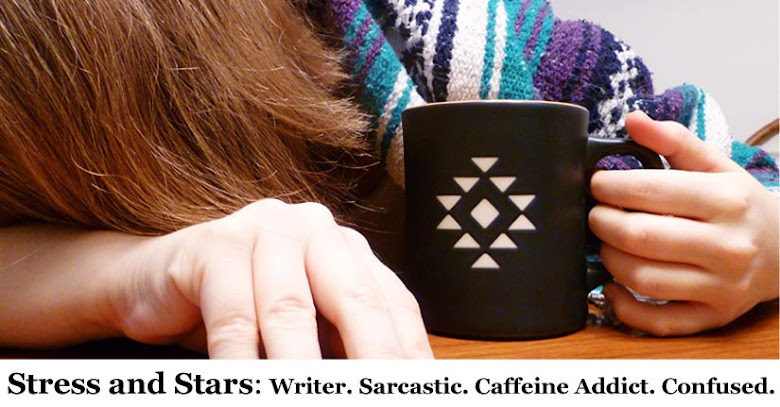 An astute observer will see that it is the post in which I announced I had gotten a new job. I then dropped off the face of the (blogging) planet. These things, you should know, are related. The simple truth is that it became too hard to come up with anything to write... I was too unhappy with the job. I didn't want to tell you all, who are mostly my family and friends who know me outside the space of the internet, how miserable the job made me. I won't say I made a mistake - I was making a lot more money, which enabled Jason and I to start building towards buying a house in the time I was there. I met some pretty cool people, had so me very awesome coworkers. But it was hard to write when it took so long to decompress after every single day. I haven't even been taking pictures, or drawing, or really anything at all... my brain has been completely focused on I'm not at work when I'm home. I don't want anyone to think I was super unhappy or anything. I was having a great time... not at work. We had parties at friends' houses, Jason and I went out to Hagood Mill a couple of times, or we just relaxed and were together. Being unhappy while at work, though, was kind of sapping my creative energy whenever I wasn't there. Which is not something I am okay with work doing. So, you may be asking yourself, why are you writing a blog entry today? I quit my job. This is my last week there. I am sad only because my supervisor, who was really nice, is on vacation so I'll be gone before he gets back, and that is sad. But not sad enough to stop me. I have been offered a new job, and accepted the offer. I'll be working in an art and history museum's gift shop. I'll help source out new merchandise to sell from local artists, be on some days the "face" of the museum - the first person people see. I'm going to bury my head in books on local history over the next month or so, I can already tell. While I was sitting here being happy about this last few days of work, I thought to myself, You know what I haven't done in a while? So I wandered over here. I think I'll come back in to this blog. I hope to stay awhile. If things go even remotely according to plan, this is going to be a pretty exciting year. I'll have enough vacation to see my extended family more than once a year - Jason and I are both (!!!!) going to see them here for Easter. This will be the first time in... too long... since Jason has been able to come, too. I wasn't able to go home for Christmas or my little cousin Jake's wedding, which means I still haven't met his wife (how cool is that to say, huh?). So I plan to rectify these things. We'd like to buy a house this year, get a dog, maybe go hog-wild and host our own party since we might have enough room to fit more than three other people in our living space. Maybe we'll be able to swear off apartments forever. That would be exciting. So what do you think the odds are that they will? Then again, if there's anything the last couple of years has taught me, it's that trying to calculate the likelihood doesn't mean anything. I have to make my own odds. Maybe I'll pull my camera back out, too.